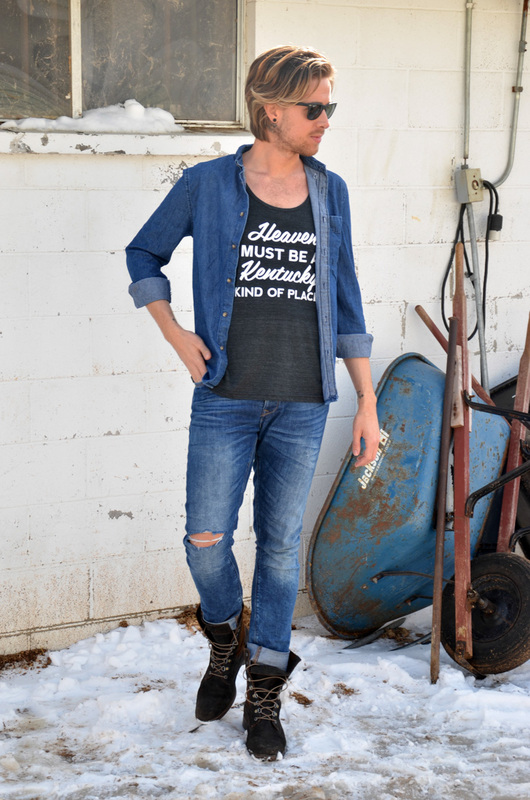 I’ve been posting bits and pieces of outfits here and there from Kentucky for Kentucky as I waited to find the perfect venue and photographer to bring an idea to life I had for the pieces they sent to me. 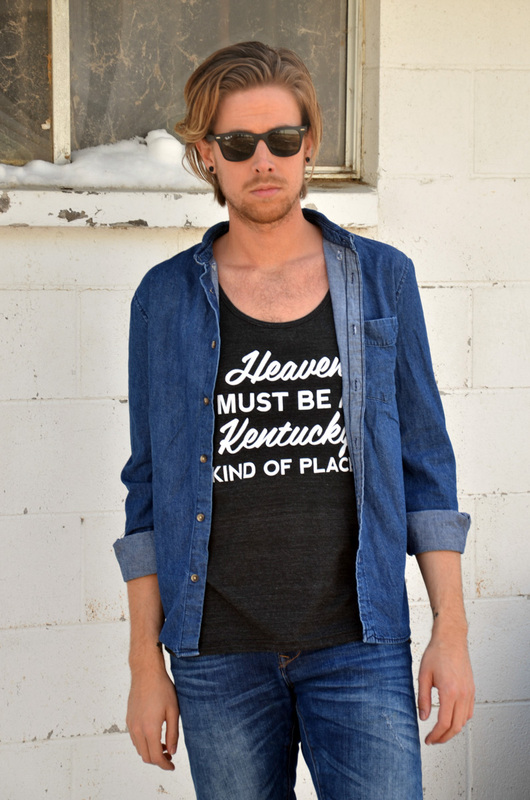 I reached out to Kentucky for Kentucky in regards to teaming up for some outfit posts after seeing them around town and loving what they were doing, and I couldn’t wait to be involved with them. 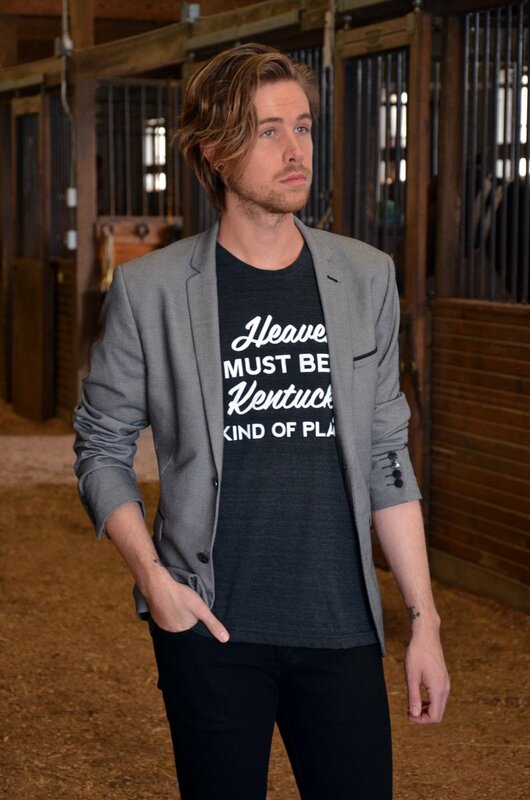 Their mission is to engage and inform the world by promoting Kentucky people, places, and products. Which is similar to what I’m doing with this blog. To show that Kentucky has more to offer than just Fried Chicken and Horse farms. 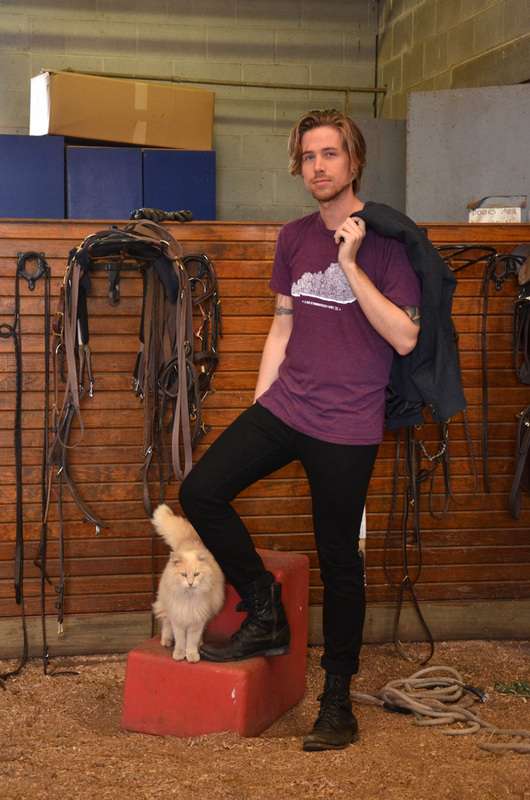 I wanted to tie my street style back to Kentucky roots, and after finding a local stable who was willing to let me shoot there I knew I had found the perfect place to make some magic. 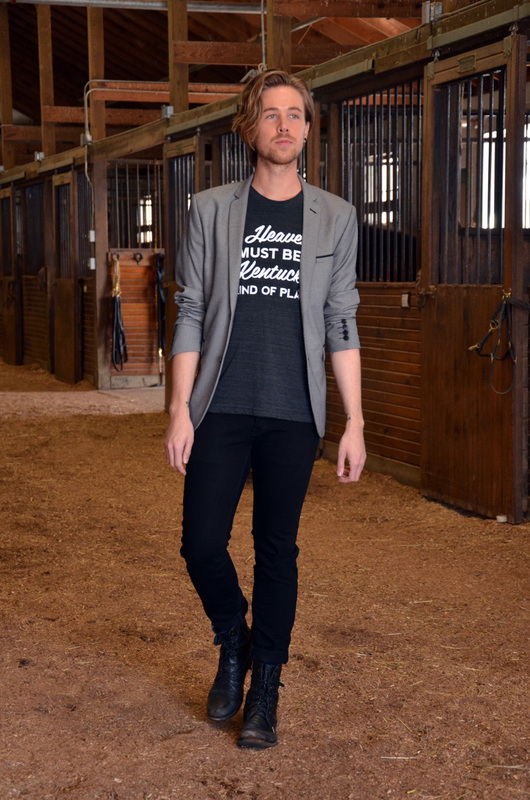 I teamed up with local Photographer Chris Humphreys and local stylist Chris Caswell to pull together a fun shoot playing my style off the rustic setting of the horse stalls, white fences, and the stables. This was my first time teaming up with other local talent, from the clothing to the photographer, and it was a very different experience, but I look forward to doing more of it in the future. 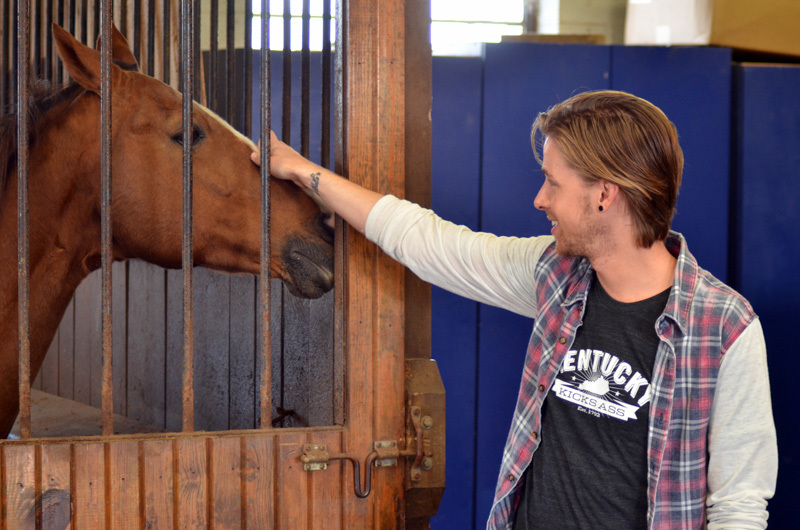 I hope all of you love the Kentucky for Kentucky pieces like I do. 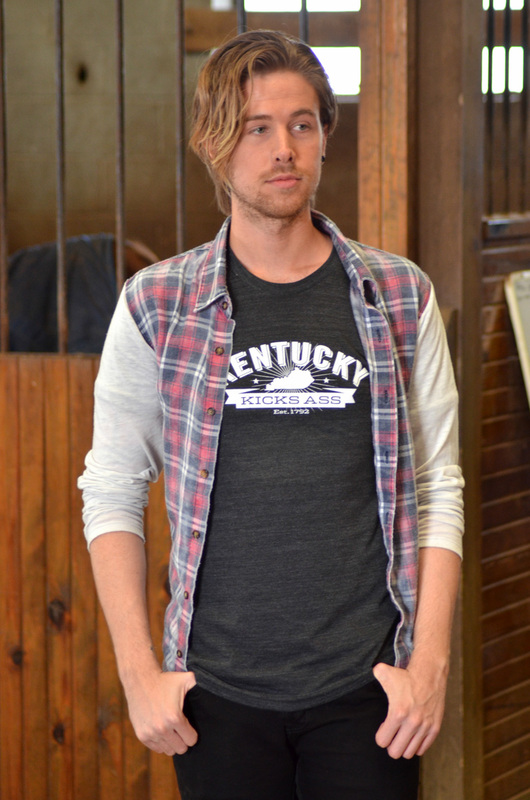 They’re great conversation pieces, especially when you’re traveling outside of the Bluegrass state. 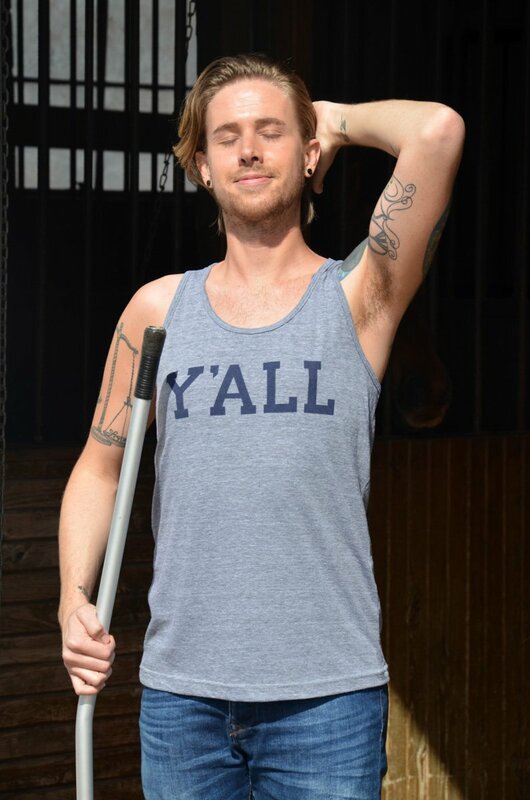 Like the editor of The Almanac Mag sporting his KY for KY shirt at SXSW on his Instagram this weekend, get it Jamon.